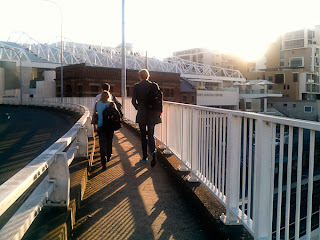 Seven In Sydney: Food and "family"
When you spend so much time at the office, the people you work with end up becoming your second family. 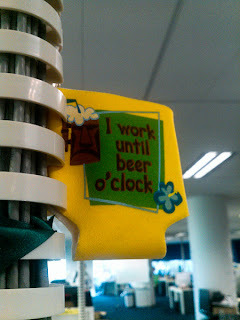 As a newcomer to the work place, I'm constantly finding stuff like this around the place. We had our half-yearly review recently, which was a lot of presentations, but also a family dinner shouted by the company. Our small edit team wandered off on our own early for a beer. All of us are different in one way or another. Quiet, loud, opinionated, not-opinionated. Diverse is what I'd call it. 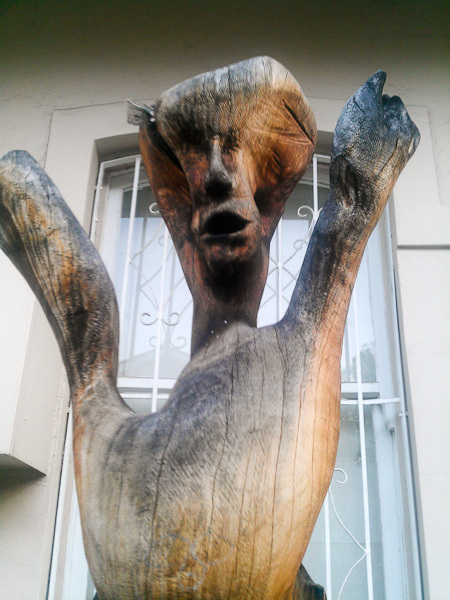 Wandering around Glebe, there's a street with all of these wooden carvings in it. Almost every house in the street has one, all of similar sort of design. Sort of freaky, but sort of cool at the same time. 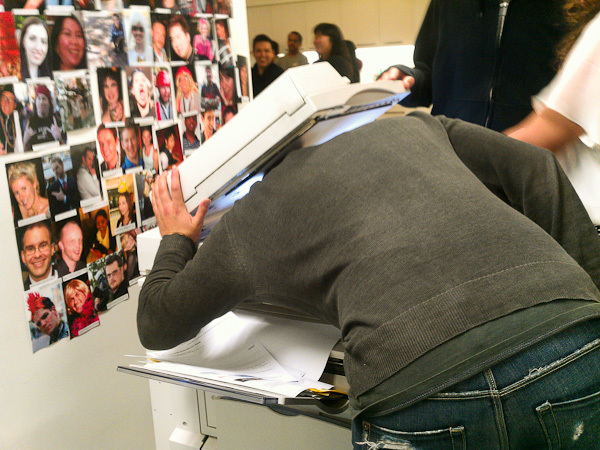 Later in the week at the office, there's always someone doing something silly. 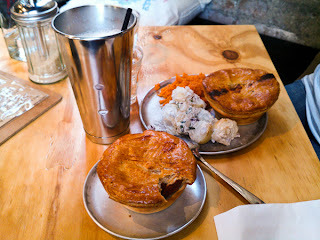 I made it over to Newtown on the weekend to visit Pie Tin. Really small place, just off of King Street, but the pies there are to die for. Real chunks of meat in them. Apparently the dessert pies are even better. Maybe next week, but I fear I'll put on weight if I make it a habit. 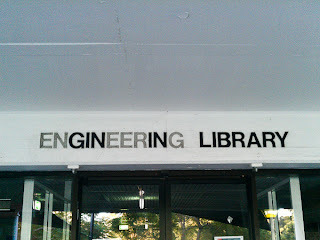 Wandering through my old university, the old library I used to study at has been emptied out. 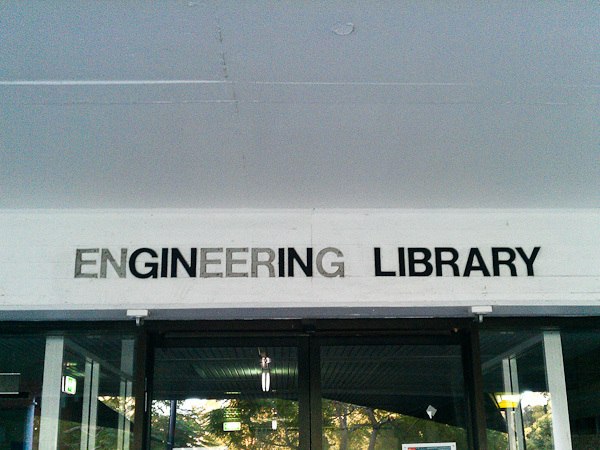 In true engineering style, some student with a sense of humour defaced the sign. I think I like it better this way. Then close to midnight, Saturday, one of my mates calls me up for a coffee, which ends up rolling around to the early hours of Sunday morning. What else is open at that hour besides Pancakes on the Rocks? It's been a while so it's time to pay them a visit. 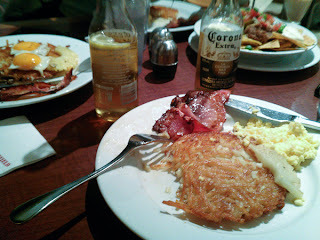 Breakfast with Coronas? Breakfast of champions.